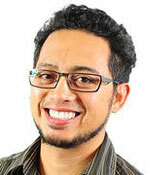 Diego Nieto is now Staff Scientist at Driscoll Strawberry Associates, Inc. in Watsonville, CA. He worked as Staff Researcher in Entomology and Agroecology at UCSC on many projects, including a recent program on alternative methods for regulating populations of Delia radicum the cabbage maggot on cole crops. 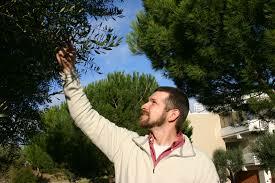 His specialty is biological control within integrated pest management strategies. Dr. Jedlicka is now Assistant Professor at Missouri Western State University after her NSF Postdoctoral Fellowship at UC Berkeley. 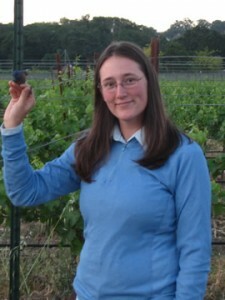 Her dissertation research was on ecosystem services and avian conservation potential in northern California vineyards. Julie's research showed that placing songbird nestboxes in vineyards increases the abundance of cavity-nesting birds, benefiting avian conservation and quantified the extent to which these insectivorous birds consume insect pests within vineyards. Stomach-content analyses, mostly from the early 1900s, indicated that birds consume key vineyard pest species. To determine if foraging birds are effective biological control agents, she quantified arthropod consumption by avian species, measured species-specific foraging strategies of insectivorous birds, and compared key pest levels on winegrape vines in predator enhancement and exclusion treatments. Dr. Tara Cornelisse is Assistant Professor of Animal Behavior, Ecology and Conservation at Canisius College, Buffalo, New York. Her dissertation incorporated both metapopulation theory and habitat quality metrics with application of social sciences for the conservation of the endangered Ohlone tiger beetle (Cicindela ohlone). Cicindela ohlone is endemic to the few remaining coastal terrace prairies in Santa Cruz County where it lays eggs in and forages on bare ground. The prairies were once dominated by bunch grasses, fire, and large grazers that maintained bare ground but now consist of non-native annual grasses with cattle grazing and recreation creating the little remaining bare ground. 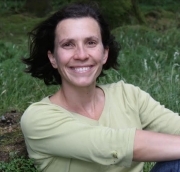 She manipulated habitat availability, conducted population viability analyses, and studied the effects of conservation education on the behavior of mountain bikers that share coastal prairie habitat with these rare beetles. Dr. Bothwell Allen is an environmental consultant in the greater Boston Area after lecturing in Environmental Studies at San Jose State University. Her dissertation research involved landscape influences on ecosystem services in agriculture. 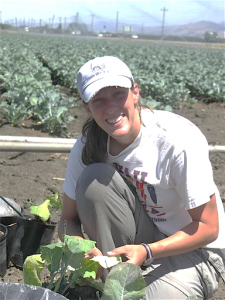 She examined relationships between the landscapes in which organic vegetable farms are situated on the central coast of California, the diversity of the parasitic wasp family Ichneumonidae found on these farms, and parasitism rates of two herbivore species. Components of this research led to me to build detailed, hand-digitized vegetation/land-use maps of the landscape surrounding 33 central coast farms and a 1400+ specimen collection of ichneumonid wasps sampled from these farms. Dr. Pisani-Gareau is Associate Director of the Environmental Studies Program and Assistant Professor of the Practice at Boston College. Her dissertation research characterized the effects of hedgerows as refugia and nutritional resources for natural enemies and pests in California central coast organic vegetable farms. She used vacuum samples, sticky traps and fluorescent markers to quantify the abundance and movement of parasitoids and predators visiting native woody plants in hedgerows establish by growers. Dr. Racelis is Director of the Agroecology Program and Assistant Professor of Biology at the University of Texas - Pan American. His dissertation research was an interdisciplinary investigation of the extraction, use and trade of polewood to construct rustic tourism dwellings. He used chrono-sequencing to study the dynamics of local forests for conservation impacts and semi-structured interviews to understand the political economy of polewood and its consequences for local livelihoods in Mayan villages and collectives. Dr. Moreno is Extension Educator at the University of Idaho, where his Research and Extension activities focus on integrated pest management and sustainable farm practices in small grain cropping systems. 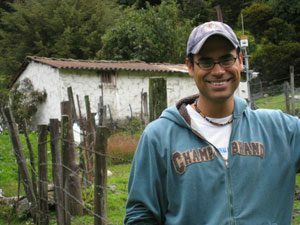 His dissertation involved participatory action research with smallholder farmers inhabiting the highland plateaus of the Venezuelan Andes where potato cultivation is a main source of income, subsistence, and pride. However, the spread of invasive potato pests across the region over recent decades has resulted in a concomitant rise in broad-spectrum pesticide use. Insecticide applications have been ineffective at reducing pest outbreaks and they impose a growing threat to farmer health as well as to the integrity of surrounding paramo ecosystems and their endemic flora and fauna. Carlo studied two local potato production practices rooted in traditional shifting agriculture strategies: cultivation of the native papa negra variety and long fallow rotation. He employ participatory pest monitoring, land-use mapping, and sentinel pest experiments to determine the influence of native potato cultivation and long fallow rotation on oviposition interference and biological control levels of the tuber pest Tecia solanivora. In addition, he used farmer surveys, focus groups, and semi-structured interviews to understand capital asset access and vulnerability reduction among potato farmers that utilize traditional cultivation practices. Dr. Sirrine is Leelanau County Director, Agriculture and Natural Resources Educator in Community Food Systems at Michigan State University. 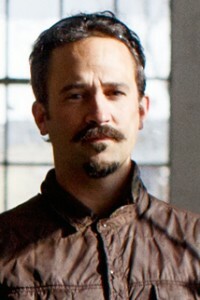 His dissertation research included innovative understory plant management in tart cherry orchards of Northern Michigan for weed control, water conservation, carbon and nitrogen improvement and pest control as well as a tart cherry commodity chain that revealed the distribution of power and risks, the latter taken by cherry growers in the region. 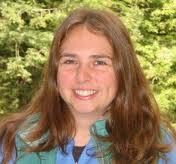 Dr. Hagen is Lecturer and College Writing Program Coordinator at UC Santa Cruz. Her dissertation research illustrated the environmental risks of transgenic crops through gene transfer, in this case, from Bt crops to their wild relatives. Using a simulated transfer of an insecticidal trait, we discovered that weedy wild relatives could gain protection from their natural enemies and produce more seeds. She used matrix modelling to project the outcome of such elevated seed production in different local habitats (farmers' fields, field margins and coastal prairie habitats) and to compare the responses of wild mustard and wild radish, which differed substantially. Dr. Blair is now Associate Professor at Xavier University in the Departments of Biology; in the Economics, Sustainability and Society Program, in the Land, Farming and Community Program, and Director of the Gender and Diversity Studies Program and Director of the Environmental Science, Sustainability Programs Faculty. He conducted his postdoctoral research at UC Santa Cruz through a University of California Presidential Postdoctoral Fellowship, on the effects of logging disturbance on the spread of exotic plants in the redwood understory. He simulated forest canopy after logging with shade cloth cover in experimental plots for long-term monitoring for plants and insects. 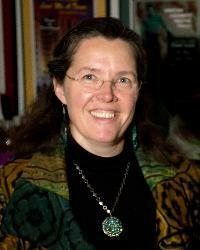 Dr. Dyer is Professor and Graduate Director at the University of Nevada, Reno Department of Biology. 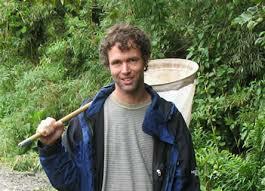 His post-doctoral research at UC Santa Cruz was on trophic cascades involving Tarsobaenus beetles (clerids), Pheidole ants, a variety of herbivores feeding on Piper cenocladum plants in Costa Rican lowland wet forests.